Create your own computer games. Compete in national cybersecurity competitions. Build autonomous robots to navigate mazes. Code a compiler or simple operating system. Students program circuit boards to play light patterns in LEDs. Apply your skills to practical problems using knowledge from other fields. Studying computer science at Evergreen will give you the knowledge and tools to design, build, and understand complex computer systems. You’ll get to apply your skills to practical problems using knowledge from other fields, such as music, art, linguistics, physics, statistics, and ecology. Computer science is a dynamic and interdisciplinary field of study and Evergreen provides you with the opportunity to work on projects that apply theory to real problems and to participate in exciting challenges. For example, the program Computing Practice and Theory has combined the analysis of forest ecology data from the Pacific Northwest with machine learning. Computer science students at Evergreen have also participated in cybersecurity competitions and won awards, including at the Pacific Rim Collegiate Cyber Defense Competition. International student Hao Nguyen works with a small group of fellow computer science students and faculty member Richard Weiss as part of his Independent Learning Contract. At Evergreen, you can explore computer science at a range of levels—whether you want to gain a basic understanding of how computers work or you plan to become a computer science researcher or professional. You'll learn the intellectual concepts and skills that are essential for advanced work in computer science and beneficial for computing work in support of other disciplines. Achieve a deeper understanding of increasingly complex computing systems by acquiring knowledge and skills in mathematical abstraction, problem solving, and the organization and analysis of hardware and software systems. 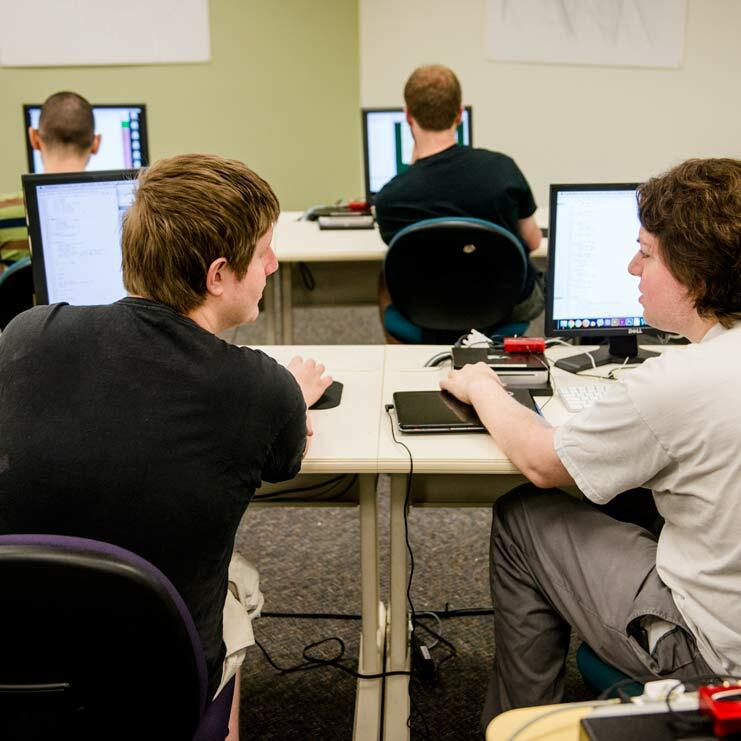 The program covers material such as algorithms, data structures, computer organization and architecture, logic, discrete mathematics, and programming in the context of the liberal arts. We will explore our curriculum by way of lectures, programming labs, workshops, and seminars. Faculty Richard Weiss works with students learning HTML in the summer web design class in the computer lab. 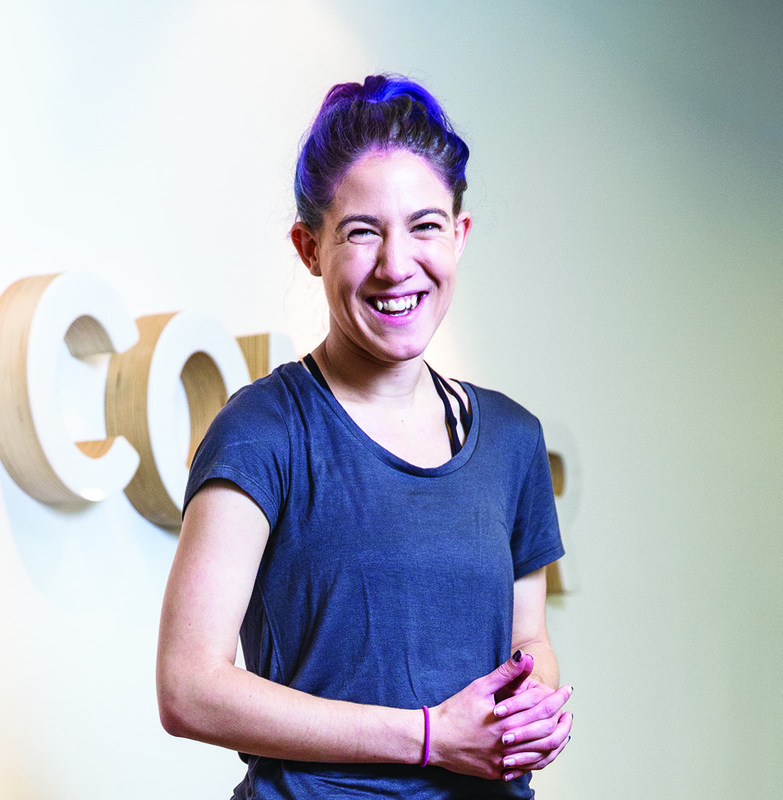 Naomi Touchet '17 works on the application security team at Concur, where she maintains the security of the company's travel and expenses software. Our graduates have gone on to a range of professions, including working for Canonical (the developer of the Linux Ubuntu operating system), a medical software startup, and as developers for F5 Networks (which makes network routers and firewalls), IT specialists for Twitter, and software engineers for Washington state. Ben Kamen introduces audio programming with the program Max on the first day of Interactive Sound and Video. You’ll work on projects that apply theory to real problems and participate in exciting challenges. As Evergreen’s computing hub, the center has four computing classrooms and offers printers, scanners, and a commons area that boasts more than 50 computers running Mac OS 10.7, Windows 7, or Ubuntu Linux. It also has several specialty stations, including a digital video workstation and an audio workstation. Student techs and Academic Computing staff are available to assist with computing questions and needs. The home of Scientific Computing at Evergreen, the CAL supports students enrolled in the physical and natural sciences. Each of its two teaching labs contains 26 workstations. Royalties received from the PLATO computer-aided instruction materials developed at Evergreen support technology grants and an annual lecture series on computer-related topics. The Lecture Series (a.k.a. Cutting Edge Symposium) supports an annual guest speaker series on computers and technology. Some past themes include computers in the arts, software engineering, artificial intelligence, and the Internet. Technology grants support projects that strengthen and enhance curriculum incorporating the use of computer technology. Evergreen offers students a collection of tools to make robots, including Arduino microcontrollers, Scribblers, and iRobots. In this video, the director of the QuaSR center talks about the tutoring available on-site at QuaSR, and how QuaSR is reaching out to other programs. Evergreen’s QuaSR (Quantitative and Symbolic Reasoning) Center provides a supportive space for students who need assistance in math, economics, biology, chemistry, physics, statistics, music reading, and anything else scientific or mathematical. During the school year, drop-in tutoring is available six days a week. Many students use the QuaSR Center to do homework and get occasional help when they need it. Others come for more individual help or to work in small groups. The center’s student tutors have demonstrated expertise in the subjects they teach. Neal Nelson has worked as an applications engineer, a senior design engineer, a software engineer, and a software developer. His teaching interests include the construction of project-based implementations designed to expose students to advanced and abstract material in formal languages, programming language design, and operating systems design and implementation. He holds a B.A. in mathematics from Washington State University, an M.S. in computer science from Washington State University, and a Ph.D. in computer science from the Oregon Graduate Institute, now the Oregon Health Science University. Sherri Shulman has worked as a software developer and researcher in industry and academia. Her teaching interests include the construction of project-based implementations designed to expose students to advanced and abstract material in formal languages, programming language design, and operating systems design and implementation. She holds a B.A. in natural science from Shimer College, an M.S. in computer science from the Illinois Institute of Technology, and a Ph.D. in computer science from the Oregon Graduate Institute, now the Oregon Health Science University. Richard Weiss specializes in computer security, computer vision, robotics, and computer architecture. His research includes protecting smartphone personal data. In computer vision, he has applied differential geometry to constructing 3-D models of curved surfaces from multiple images. His teaching interests incorporate mathematics and computer science with music, art, linguistics, and cognitive science. He has a National Science Foundation grant to develop educational cybersecurity games. He earned an A.B in mathematics from Brandeis University, a Ph.D. in mathematics from Harvard University, and has worked as a software engineer.